More than any other medium, it’s in gaming where conventions and genres can get too worn out with overuse or lack of reinvention. Rudimentary mechanics are even more commonly felt in the tower defense genre, which frequently resorts to rote ideas that grow stale over multiple similar entries. 11 Bit realized this, and completely twisted the idea around in Anomaly: Warzone Earth. It was a fresh and clever, yet flawed entry to the genre as it told a decent story of alien invasion. For the sequel, multiplayer enters the equation. The payoff is a mostly rewarding experience for those that invest the time to learn it, but the overall package still has some noticeable flaws. The Anomaly innovation is to take the core ideas of tower defense, and grant the player control over the attacker in what has been dubbed “tower offense.” Players control a lone commander escorting the attacking convoy from Point A to Point B, ensuring that the units remain in good shape, utilizing upgrades to gain an advantage in battle, and spending collected resources on more units or upgrades for the existing units. It’s more work than it might seem, since the legion of towers ahead in the path, as well as the more-often-than-occasional surprise emergence of more enemies, are numerous enough to make for an intense skirmish. At the outset of each battle, the camera is pulled back and the world is drenched in neon, with the unit path mapped out in a line. Each crossroad has an arrow, which can be switched like a train track. This will divert the path of the units. In addition to doing this, unit makeup can be upgraded at any time. This includes selling unnecessary units and using the profit to purchase different units. The order of the convoy can also be altered at any time, which creates a malleability that can be most welcome in heated situations. The units are diverse and interesting. The bread and butter of the army are the Hounds. There’s a delicate balancing act to achieve with the Hounds, since the longer they sustain fire, the higher their rate of fire becomes. This means that if the Hounds can go through a mission with minimal lapses in engagement with the enemy, they are absolutely devastating at the apex of their damage capacity. To do so, however, they must be taken through dense enemy territory, which is dangerous and carries the real possibility of lost units. This is among the most exciting of Anomaly 2’s pieces; making these decisions and weighing the risk of losing units versus the reward of gaining more units and upgrading the existing ones is always exhilarating. Further combat variety comes with a unit’s ability to transform into a secondary form. The Hounds can transform to a walking unit that uses flamethrowers. The Hammer unit’s primary mode features a devastating cannon…that can only rotate 30 degrees. The secondary mode features a more versatile, but less damaging unit. It’s a steep learning curve, and tremendous tactical advantage, to learn when to transform each unit. The special abilities require a bit more thought than one would think. One of the most important abilities is Repair. Instead of acting directly on units, Repair places a sphere on the field, and units that pass through receive the gradual benefit. This means that the Repair ability must be placed in such a way that the most units will be passing through it for the most amount of time. Given that health can rise and fall extremely quickly, this decision can quickly come down to the wire. Unit and ability management hinges on a useful interface, which is why it’s a joy to report that Anomaly 2 features one of the most elegant interfaces ever to grace a tower defense game or even an RTS. A simple right click brings up the four abilities, which are themselves listed at the left of the screen at all times. When purchasing units, hover over an empty unit slot to bring up the list of purchasable units. The interface is incredibly clean and attractive, and the difference really is felt during the heat of battle when it is easy to locate all of the necessary information. Not for the faint of heart, Anomaly 2’s campaign is challenging enough even on the lower difficulties. The game spikes to harrowing levels at certain intervals in the campaign mode, requiring aggressive micromanagement of units and crackerjack timing and accuracy of ability placement. Still, it’s hard not to feel slighted by some of those difficulty spikes; checkpoints are just infrequent enough to be frustrating on some of the particularly harrowing missions, and there were definitely some “unfair”-feeling levels around the middle of the game. It’s a shame that there is a slight sense of imbalance that rears its head at unpleasant times, as well as an apparent inability to specifically target enemy units without the use of one of the special abilities. The latter is only rarely problematic, since units generally seem intuitive enough to target the unit that poses the greatest threat. Only occasionally is it necessary to alter the path to circle back around to clean up an objective. The former is a minor inconvenience that is exclusive to only a couple of units, such as the enemy Scorcher that obliterates units along a straight line and have no means of getting out of the line of fire. Liberal application of skills is a necessity, but this hinges on whether the game actually grants them, and leads to another inconvenience: it’s difficult or impossible to maintain a healthy squad when Repair skills are so greedily withheld. Multiplayer fares far better. At times, these can devolve into an intense deadlock where the tower player, who has the freedom to place units just about anywhere near a main generator (as well as sell them) frantically offloads units from obsolete spaces and repositions them to intercept the attacking player, who himself works to set the right path to the generator whilst allowing enough time to amass a sizeable force. This is the simplest breakdown of the mode, though it features a very dense set of rules and an even steeper learning curve than that of single player. However, a dynamic understanding of the underlying mechanics will give way to an extremely rewarding multiplayer mode. Players that take time to get good at Anomaly 2 will find a sublimely rewarding experience. “Slick” and “epic” are words rarely used to describe a game in the generally perfunctory tower defense genre. It seems surprising, then, that the necessary ingredient to buck this trend was a mild reimaging of the concept. Anomaly 2 is, at its core, a continuation of an incredibly clever idea with underdeveloped frills, but is still deserving of those adjectives. The repurposed tower defense genre is utilized cleverly for a unique and innovative game. It’s a fun experience in multiplayer, but when there aren’t other people to play with, Anomaly 2 becomes a slightly tougher pill to swallow. 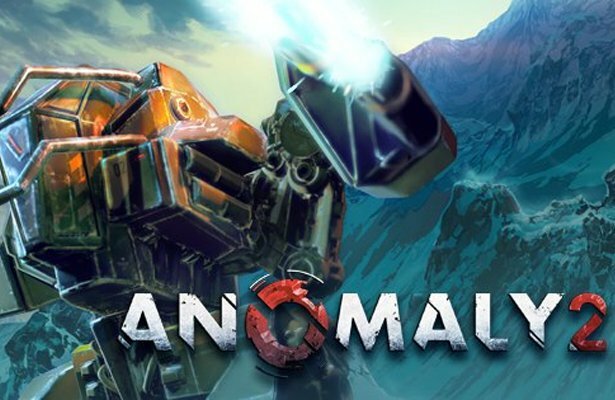 Anomaly 2 was developed and published by 11 Bit Studios. A PC copy of the game was provided by the publisher for review purposes.